Exaggerated fruitiness and perfect balance make this natural processed gem one of our proudest. Wildberry and cocoa aromas emanate from a juicy and vibrant cup. 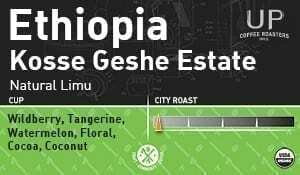 Smooth in body with a tenacious acidity, the beans splash with watermelon, pear and tangerine.